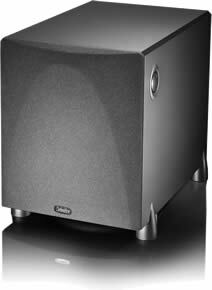 The ProSub models are high technology active subwoofers with built-in high-power amplifiers and sophisticated electronic crossovers in combination with drivers of the highest quality. A complete array of controls and connections, allows them to be hooked up to any electronics and perfectly integrated with any speaker system. The sonic result is accurate, awe-inspiring, high-impact, high-reality bass performance with superior transient response, vanishingly low distortion, stupendous subsonic power and high output capabilities. 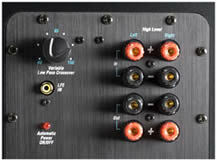 It is truly a unique combination of delicate musicality and thunderous power for the superior home theater sound effects as well as life-like musical excellence. The ProSub 1000 features a 300 Watt amplifier driving a high excursion 10 inch front-mounted direct-radiating woofer that is pressure-coupled to an 10 inch Low Bass radiator on the bottom of the enclosure. The net radiating area of the ProSub 1000 is 39% greater than a single 12 inch woofer but with better speed, pitch definition and control.The Low Frequency Effects of a movie's soundtrack bring excitement, realism and just plain fun to action, adventure and sci-fi movies. Accurate reproduction of the bottom octaves of all music, especially pipe organ, symphonic and rock add that last touch to bring you true you-are-there realism to your listening. Worry not, Definitive has bass down pat. 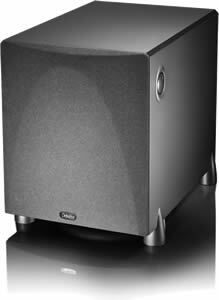 Definitive's ProSub 800 is an advanced state-of-the-art technology active subwoofer with built-in high-power, high-current amplifier and sophisticated electronic crossover in combination with an 8 inch driver of the highest quality. The ProSub 800 features a 300 Watt amplifier driving a high excursion 8 inch front-mounted direct-radiating woofer that is pressure-coupled to an 8 inch Low Bass radiator on the bottom of the enclosure. The net radiating area of the ProSub 800 is 27% greater than a single 10 inch woofer but with better speed, pitch definition and control. A complete array of controls and connections allows it to be hooked up to and perfectly integrated with any stereo or multi-channel audio system, and tuned for optimum performance in any room. The sonic result is accurate, awe-inspiring, high-impact, high-reality bass performance with superior transient response.